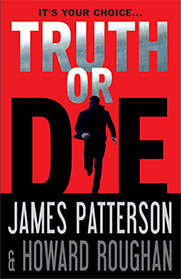 I would also like to read Truth or Die, a Stand-alone thriller by James Patterson and Howard Roughan. It features former (as in disbarred) New York attorney Trevor Mann who lost his license to practice for betraying the confidence of a client as the result of an act of conscience. Now reduced to the still-noble but less glamorous occupation of law school professorship, he is dating a winsome reporter named Claire Parker, an investigative journalist who goes all out to get a story. However tragedy strikes and his world shatters when Claire is shot dead in a mugging. However the circumstances point to something more calculated than a random attack. Claire was a New York Times journalist and Trevor is convinced she had unearthed a secret so shocking that she was murdered to keep it from coming to light. So Chasing Claire’s leads, Trevor initially picks up where Claire left off risking everything to discover why she was killed without knowing what she was working on. Often referred to as the Fifth Beatle, the English record producer, arranger, composer, conductor, audio engineer and musician Sir George Henry Martin CBE Sadly died 8 March 2016. Born 3 January 1926. When he was six, Martin’s family acquired a piano that sparked his interest in music. At eight he began piano lessons, but those ended after only eight lessons because of a disagreement between his mother and the teacher. After that, Martin explained that he had just picked it up by himself. As a child he attended several schools, including a “convent school in Holloway”, St. Joseph’s elementary school in Highgate, and St Ignatius’ College in Stamford Hill, to which he won a scholarship. When war broke out and St. Ignatius College students were evacuated to Welwyn Garden City, his family left London and he was enrolled at Bromley Grammar School. Despite Martin’s continued interest in music, he did not initially choose music as a career.He worked briefly as a quantity surveyor and then for the War Office as a Temporary Clerk (Grade Three) which meant filing paperwork and making tea. [In 1943, when he was seventeen, he joined the Fleet Air Arm of the Royal Navy and became an aerial observer and a commissioned officer. The war ended before Martin was involved in any combat, and he left the service in 1947. Encouraged by Sidney Harrison Martin used his veteran’s grant to attend the Guildhall School of Music and Drama from 1947 to 1950, where he studied piano and oboe, and was interested in the music of Rachmaninov and Ravel, as well as Cole Porter. Martin’s oboe teacher was Margaret Eliot (the mother of Jane Asher, who would later become involved with Paul McCartney). On 3 January 1948—while still at the Academy—Martin married Sheena Chisholm, with whom he had two children, Alexis and Gregory Paul Martin. Following his graduation in 1950, he worked for the BBC’s classical music department, then joined EMI in 1950. Martin produced comedy and novelty records in the early 1950s, working with Peter Sellers, Spike Milligan and Bernard Cribbins among others. 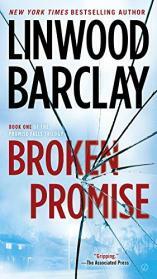 after I have read The Night Manager by John Le Carre I would like to read Broken Promise by Linwood Barclay. It features widowed journalist David Harwood, a single Father who is going through a tough time, and is forced through circumstance to live with his ageing parents, after giving up a good job with the Boston Globe to spend quality time with his young son. This means moving in, at least temporarily, from the city to his sleepy, faded hometown of Promise Falls. He secures a job at the small local newspaper only to have it fold on his first day. Meanwhile Marla his mentally disturbed cousin is also going through more than a few personal tragedies, she recently lost her baby, and decided to head to the hospital to grab a handy replacement. Fortunately, her mother runs the hospital, and quietly managed to sweep that little incident under the rug. David’s mother asks him to look in on her and drop off some food as part of a Care Package. However he makes an alarming discovery when he finds her there with a baby in hand, which she says was dropped off by an angel. However there appears to be blood on the door and Marla has a previous conviction for trying to steal a baby from the Hospital. Naturally David is concerned, so after a little bit of digging he finds that the real mother, Rosemary Gaynor, was stabbed to death across town and the current whereabouts of her baby unknown and Marla finds herself in a world of trouble, despite this overwhelming evidence David just can’t believe that his cousin is a Murderer. Elsewhere an obese, doughnut noshing cop is alerted to a bizarre sight by the ousted mayor of the town. Seemingly unrelated, these two separate events portend more strange and lethal happenings. A virtual Pandora’s box is opened and the price of closing it is blood. 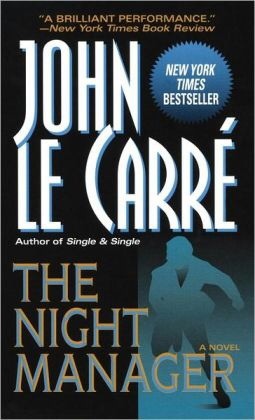 I Am currently enjoying the television adaptation of The Night Manager So I have decided to read the original novel by John LeCarre. It was was first published in 1993, and follows a former soldier turned hotel night auditor for a luxurious hotel, named Jonathan Pine who encounters Sophie, a French Arab woman who has ties with Richard Onslow Roper an English black marketeer who has made a fortune from the sale of weapons. Sophie provides Pine with confidential incriminating documents concerning Roper’s illegal activities, and Pine is presented with a difficult choice, so he forwards them to friends in the British Intelligence. Pine is then approached by intelligence operatives Angela Burr and Rex Goodhew, who head a British anti-arms-smuggling organization, and are planning an elaborate and dangerous sting operation called “Limpet” to infiltrate Roper’s vast criminal empire. Pine is asked to infiltrate the inner circle of arms dealer Richard Roper , Roper’s girlfriend Jed, and associate Corcoran to try and bring him down.